Ask Anna: How have male body ideals evolved? — Anna Akbari, Ph.D. 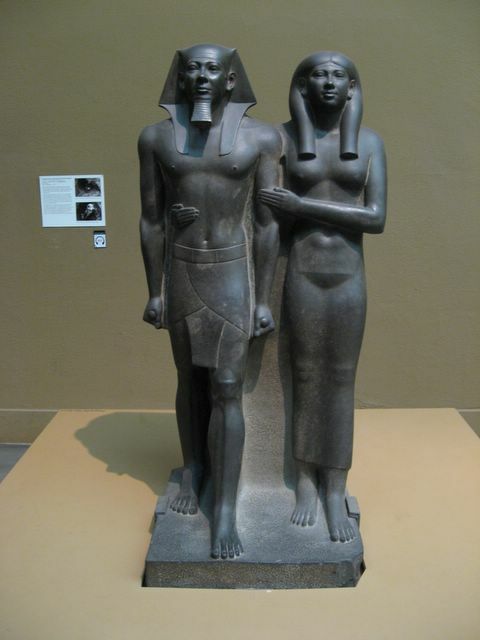 Unlike the female body, the male body was idealized as muscular and fit in ancient Egypt and Greece. Women were not typically depicted naked during this period, and instead usually had a loosely draped cloth over their lower half. This was due to women being considered less important to society. The male form, however, was celebrated and immortalized in art. Being physically fit, with toned muscle, was of great importance, as it was a symbol of self-control and authority, both of which were prized within the society. During the Renaissance, these ancient Greek values found new popularity. 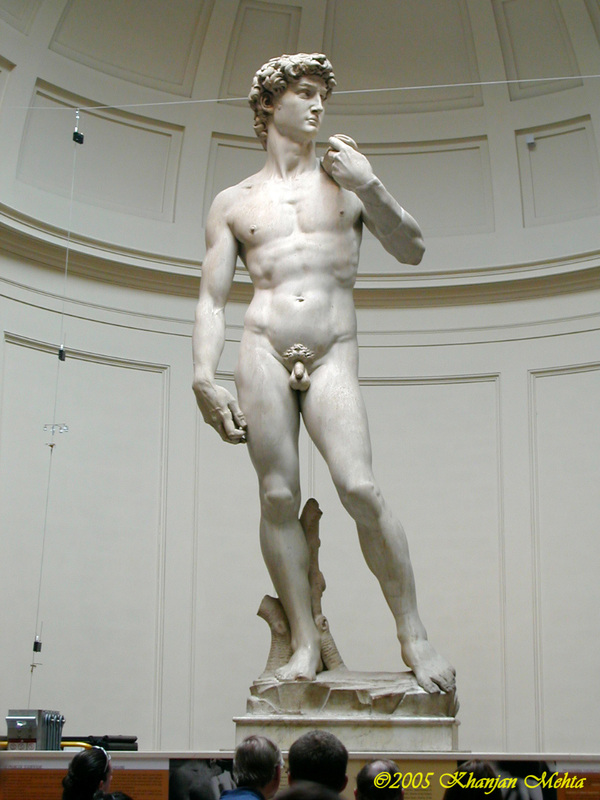 Michelangelo’s David takes a biblical story and physicalizes it with the ancient Greek ideals of the male form. For a very short period of Western history (the 15th and 16th centuries), the codpiece was an important part of European male fashion. Under the guise of serving as a “protective feature,” the codpiece was a measure of a man’s wealth, as well as his social stature. It was common during this period to see local laws stating that no one could be in the company of the local political leader with a codpiece larger than his. The codpiece represented a brilliant sliver of time where the question of “whose is bigger?” was not left to the imagination. By the end of the 18th century, we experienced the Great Male Renunciation, which saw a greater differentiation of male and female fashion. Embellishment and adornment became the realm of women, and utility became the main function of menswear. It was at this time that the male ‘uniform’ came into play. Whereas the man’s form was previously on display (a la the codpiece), there was a shift to a shrouding or enveloping of the body via the suit – creating an idealized male look that neither reveals nor overtly accentuates the body. Throughout the 20th century, the male body ideal changed significantly. Muscles – the embodiment of phallic power and dominance – once again gained importance, as witnessed by GI Joe, a popular action figure invented in 1964, who has gotten consistently more muscular over the years. The most ‘ripped’ model, GI Joe Extreme, featured a bicep that proportionally would be 27 inches, if made in full scale. This is considered nearly impossible. Comic book figures and male superheroes also evolved. Batman, in particular, has been working out and taking some protein supplements as of late. Then, of course, there is the rise of male underwear models, like Mark Wahlberg and David Beckham. The prevalence of these images demonstrated that even men’s bodies can be objectified and fetishized.